Discussion in 'Lets Talk about gambling and more...' started by Marina, Sep 28, 2014.
typically boast higher payouts, simply because they don’t have the overhead that land-based casinos do. However, if your focus is on securing the top payout, there are a few methods. out the loosest slot games or the loosest casinos, in hopes the data will hold true for you. Additionally, you can consider which games are already programmed to have a high return-to-player or RTP. This percentage will tell you what the slot is designed to pay back to players over the lifespan of the machine. This time around, we’ll take a look at some of the slots that have high RTPs. though the progressive jackpot is only available if you hit three jokers using only the primary set. To date, the largest win on this game was 105,000 euros, collected by a player on Unibet. Another great game created by Net Entertainment (NetEnt), Jackpot6000, has the second-highest RTP on this list. At 98.8-percent, players are much more likely to walk away with some cash. Like Mega Joker, it features 3 reels and 5 paylines. It’s fairly basic, though allows for two sets of reels with mystery rounds and also has a progressive jackpot. it features an African theme with icons such as masks, huts and drums. It has 3 reels and 10 paylines, plus a unique “hold” feature that allows players to keep certain icons on screen. Created by a company called Rival Gaming, Comic Quest: Episode 2 Mystery Planets, has an RTP of over 98-percent. It features five reels and 20 paylines, plus a very unique theme. It’s based on a first-person shooter game and the jetpack icon can net players 10, 25, or even 50, bonus spins. more complex than others, and has 5 reels, plus 20 paylines. As the name indicates, it features an underworld theme and is based on the seven deadly sins, though is remarkably light-hearted despite it. Generally, each software firm sets the return-to-player percent as they design the software and the number will remain the same regardless of where the game is played. However, Realtime Gaming (RTG) allows each online casino to set their own RTP, so depending on which one you visit, you may have very good odds as well. luck. An average player might have a lesser chance of winning. For this reason, it’s always a good idea to check the rules of each game on every site and play a free version first, whenever possible. Great information and very Interesting! I play on a few of them, but did not know that they have a high RTP. Always love reading the statistics. Some really high RTP's. 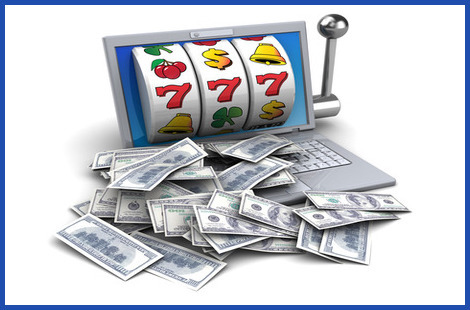 Players really should research and see which online Casino's offer the highest Return to Player. With the RTG Casinos, all the reputable ones we promote have some great RTP's.